Informational notices usually just serve as formal notice of some interaction you have had with the IRS or of some regulation pertaining to your taxes. For example, you might get an informational notice about a tax credit that may be available to you, or you may get an informational notice after you have called an agent to discuss a past return. You do not have to respond to informational notices. However, if you want to respond or ask questions, you will find information on the notice about who to contact and how to do so. If you have lost the notice, you can call one of the toll-free numbers listed on the IRS website. The IRS doesn’t take a fine-tooth comb to every return that is filed, but it does usually spot the big mistakes. When it does, it sends a notice letting you know that it is proposing a change. Whether you need to respond depends on what kind of change has been made. For example, if the IRS says it made a change and you are getting back more money than you thought, you likely don’t have to do anything unless you disagree with the change. However, you may get this kind of notice if the IRS believes that you underreported your income (because it received a W-2 or 1099 not listed on your return). These types of notices will tell you what kind of reply is needed. For example, you may have to send in additional information, such as documentation showing that the change has been made in error. If you get notice that you are being audited, it is best that you talk to an IRS tax relief lawyer in Phoenix who can represent you through the audit or give you counsel on how to respond. No one wants to get that notice that they owe taxes, but if you do get the notice, you should not ignore it. If you do get this notice, it will say how much you owe, when the amount is due, and how you can pay it. If you aren’t able to pay the amount by the due date, you can contact the IRS to set up a payment plan or to discuss other options. You can also talk to an IRS lawyer in Phoenix to determine if there are ways to amend your return or to otherwise avoid having to pay the amount listed. Your tax lawyer may be able to help you negotiate a settlement for a lower amount or to get increase in tax and penalties reduced. The options depend on the circumstances of your case. Getting a notice from the IRS doesn’t have to be the end of the world. You need to understand what these notices mean, and you need to consult with a tax lawyer to know how to respond appropriately. 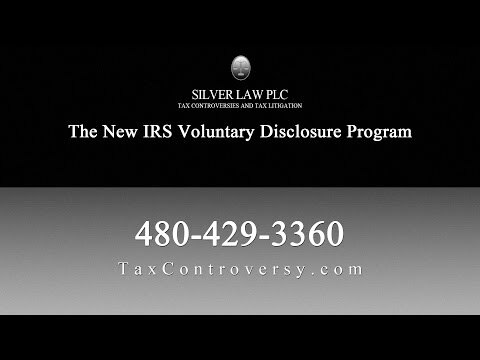 Silver Law PLC helps residents of Arizona in all types of tax matters, including audit representation and tax litigation. Our IRS tax relief lawyers explore all legal options for helping you reduce your tax burden and avoid tax penalties. We represent both individual and corporate clients in tax matters both small and large. Call us today if you have received an IRS notice or have some other tax matter for which you need legal assistance.